With all that Mountain Hideaway has to offer it is no surprise that this luxury cabin can book up over a year in advance. Spend your next romantic vacation in luxury at Mountain Hideaway where you will enjoy amazing views and amazing amenities. You can sit and relax under the covered deck and enjoy the views of the mountains. Recharge and pamper yourself in the fantasy suite with spa bath and jetted shower. With so many upscale amenities and finishes, Mountain Hideaway offers a unique combination of features rarely found in a luxury cabin. 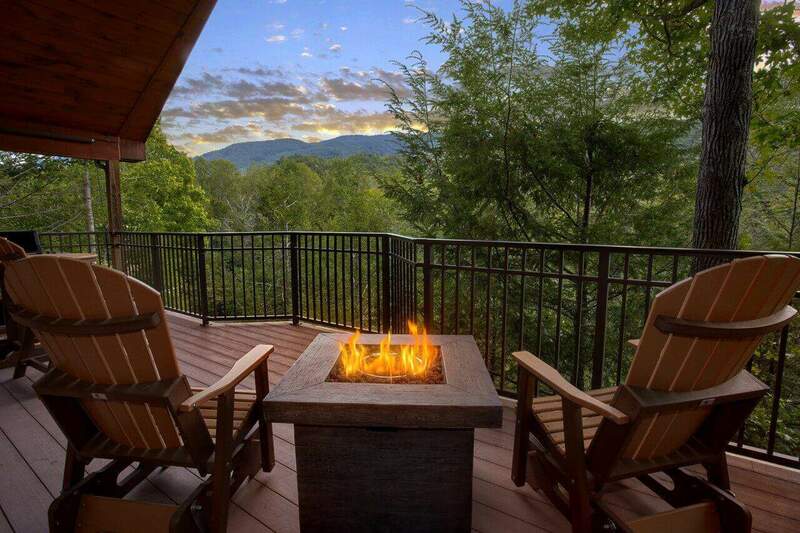 You can experience mountain views from your covered deck with outdoor fireplace, porch swing and rockers. 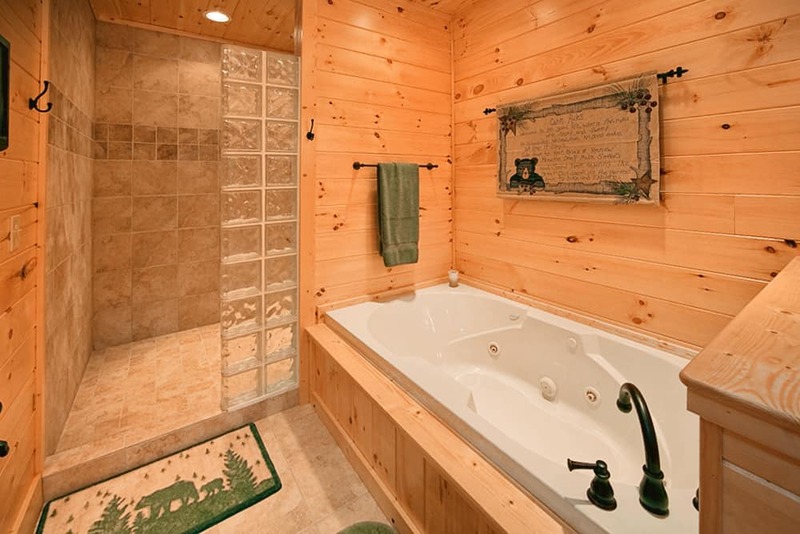 Maybe relax in your hot tub after a long day of hiking in the park or shopping downtown. 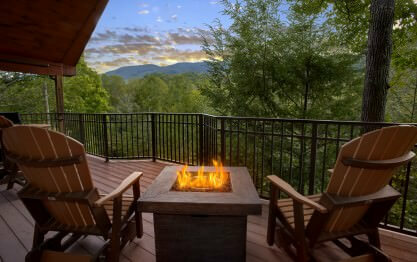 What a way to recharge and reconnect on your next Gatlinburg vacation to the Great Smoky Mountains. Enter into the great room with vaulted ceilings and windows with views of the mountains. A comfortable living area with leather furnishings, fireplace and 52" inch flat screen TV with blu-ray and surround sound. You can watch a game or your favorite show on DirecTV. 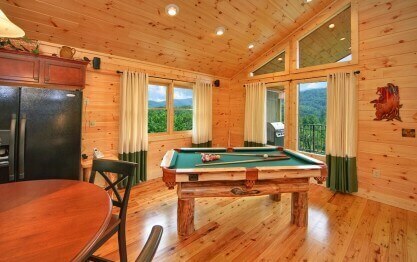 Shoot a game of pool if you are up to it, or simply relax and enjoy the picture perfect views. A full kitchen stocked with all the items you need to prepare in cabin meals and dining area is provided in case you want to dine in. A gas grill is just steps away under your covered deck. 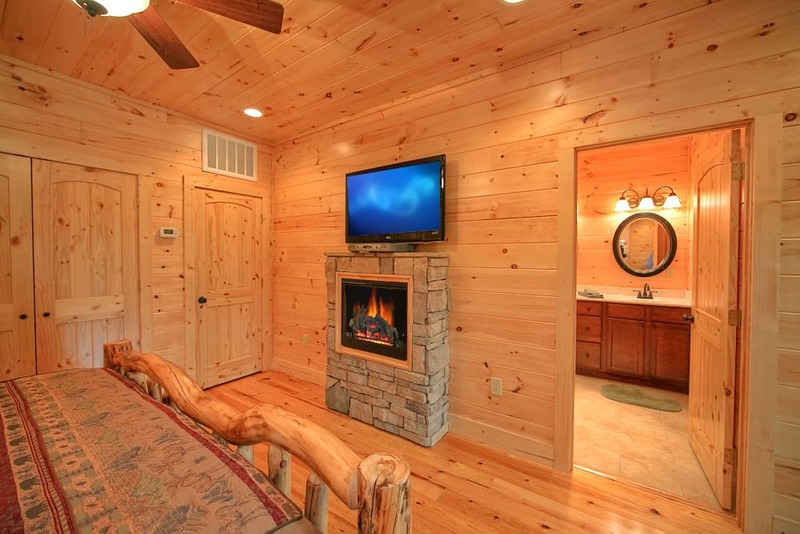 The king master suite features upgraded mattress and bedding as well as a fireplace and 42" flat screen TV. The spa bathroom with jacuzzi tub, TV, fireplace and jetted shower spa is a great way to end a day. A washer/dryer is included for your convenience. 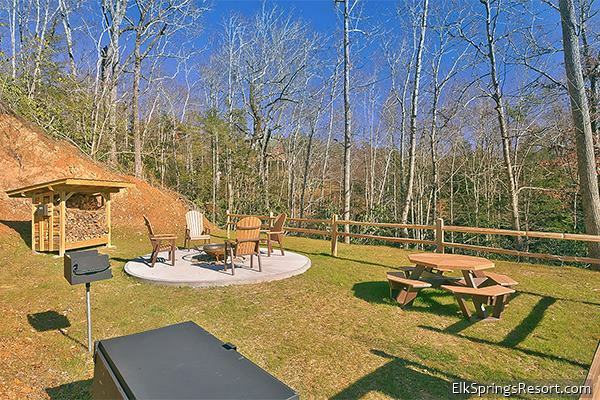 *** This Property is located 15 minutes from Elk Springs Resort! "Mountain Hideaway exceeded our expectations!!" We were fortunate enough to book a last minute spring break getaway because of a cancellation. This property was exceptionally clean and the amenities inside and out were top notch. It was a perfect r…elaxing and scenic place to stay to take a break from the normal routine. The hot tub allowed for a beautiful look at the stars. The top deck with fire pit had a phenomenal view of the mountains. It was not too far away from downtown Gatlinburg, about 20 minutes. The customer service was extremely attentive and followed up to ensure we were satisfied with our stay. We would love to return and have already highly recommended it to our friends who saw pictures on social media. Thank you for your fantastic review, Merissa! 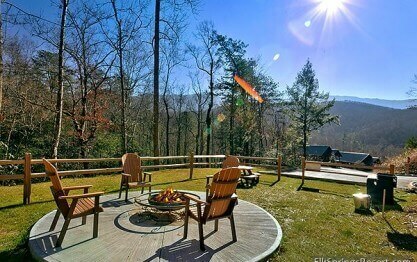 It is a pleasure to hear you had such a great time at Mountain Hideaway for your springs break. You definitely chose a beautiful cabin with a great mountain view and perfect location to access The Great Smoky Mountains National Park and the heart of downtown Gatlinburg. It was our pleasure to provide luxury accommodations and top-notch customer service during your visit. We hope you made lots of memories that will last a lifetime! All recommendations are greatly appreciated, and we hope you too will make plans to visit with us very soon. Remember, as a repeat visitor you will save 10% on future stays. Thank you! The cabin was clean, relaxing and peaceful. Thank you for your kind review, Moniqua! We are happy you enjoyed your stay and hope you will consider staying with us again in the future. Remember, as a repeat visitor you will save 10% on future stays. Thank you! "Amazing Cabin with awesome mountain views"
The cabin was beautiful, clean and provided everything we needed for our stay. i.e. 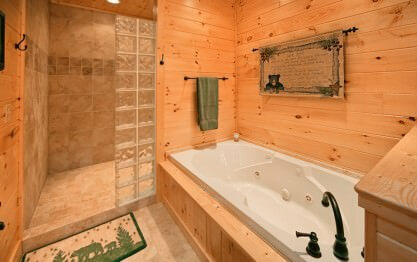 - hot tub, indoor & outdoor fireplaces, comfortable / lodgey furniture, awesome deck, great views, etc. Plus the check in / check out process was a breeze! It was truly our pleasure to provide you with luxury accommodation during your recent visit, Jack. You certainly chose a great cabin to relax and enjoy the beautiful mountain views. 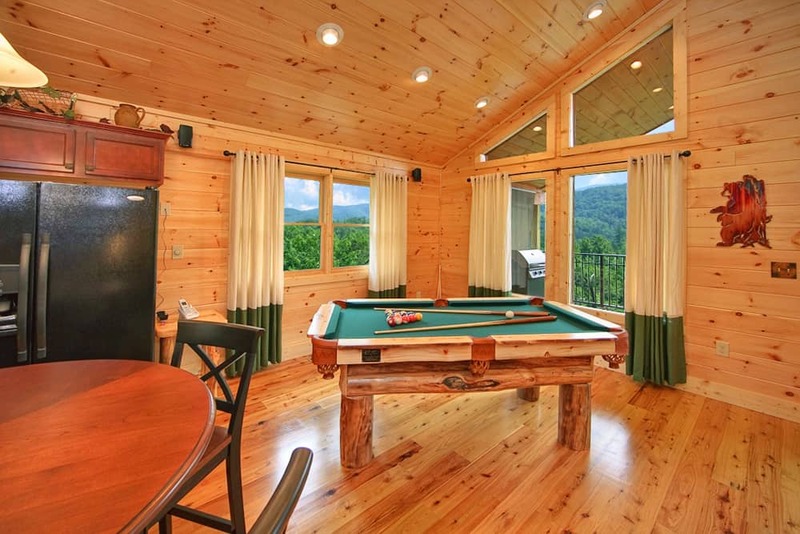 Mountain Hideaway is full of top-notch amenities for the entire family to enjoy! We strive to be the best in the business, and our express check-in and out process is a huge part of that. It is great to hear this was simple and made your stay more delightful. We hope you will choose to visit with us again on your next trip to The Great Smoky Mountains! Thank you for your kind review, Elizabeth! 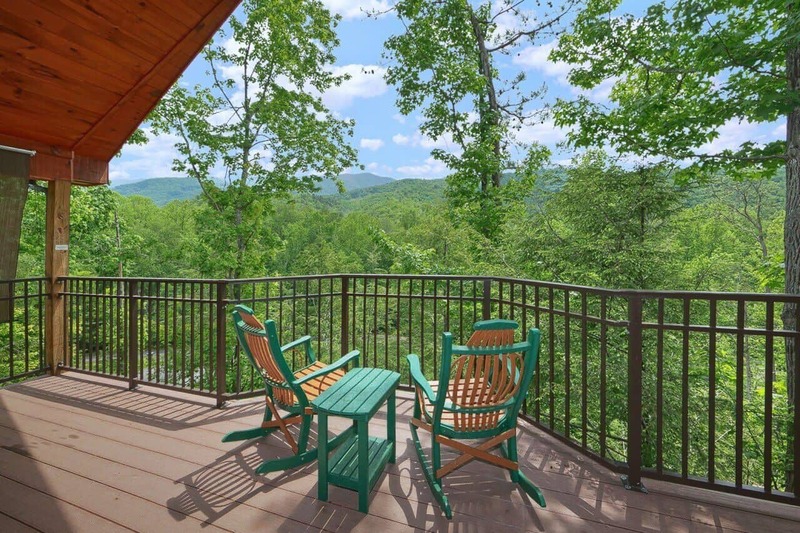 Mountain Hideaway is certainly a gorgeous cabin with a fantastic view of The Smokies. We hope you will choose to visit us again on your next trip to Gatlinburg! We absolutely LOVED our stay at Mountain Hideaway. The cabin is secluded on a private drive and has great views from the back deck. The cabin was so clean and made us feel like home! Everything was to…p notch and exceeded our expectations! We will be making another trip and booking with Elk Springs Resorts again! Thank you for allowing us to be a part of such a memorable occasion, Andrea! Congratulations! We are delighted to hear your stay was exceptional. We enjoyed having you as our guest and would consider it an honor for you to stay with us again. We hope to see you again soon! 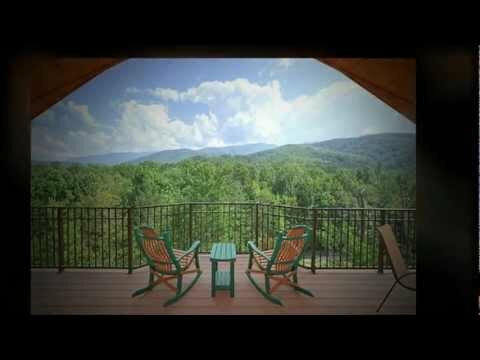 "Beautiful Cabin Provides a Home Away from Home"
My husband and I went on our honeymoon to Gatlinburg. When we got in town, the first thing we did was head to our cabin as we were a bit beat from our ten hour drive. We fell in love with the place at… first sight. The cabin is just as pictured and advertised. 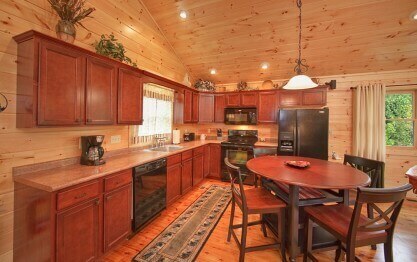 Mountain Hideaway is a beautiful cabin with hardwood floors throughout and completely modern amenities. The kitchen is beautiful, and they provide you with everything you would need to cook almost any meal aside from the actual food (utensils, pots and pans, etc). The first floor has the kitchen, a half bath, and a living room area along with a pool table. The deck off the upstairs has the fire pit and the grill. Downstairs, you'll find the bedroom with a king sized bed that was so very comfortable and a the full bath, which features a rain shower and a large jacuzzi tub. There is a small fireplace and TV in the bathroom! There is also a fireplace upstairs in the living room and in the bedroom as well. The downstairs deck has a porch swing and the hot tub as well as yet another fireplace. In addition the amenities they listed on the property description, we loved the cabin for its cute decor and subtle touches. Black bears are a theme in this cabin, and we thought it was really cute. Our property was very clean and well-maintained. We really loved staying with Elk Springs because we didn't have to go anywhere to check in. We were able to do so remotely, so, even though we got in a little late, we were able to go straight to our cabin and get settled in. We had no problems at all with our cabin, and never had to contact maintenance. We truly loved our trip to Gatlinburg and have already decided that we will be back sometime in the not-so-distant future, as we did not have nearly enough time to explore the area and do everything we wanted to do. Congratulations! Thank you for allowing us to be a part of such a special celebration, Rhiannon. We certainly agree! Mountain Hideaway is a fantastic cabin with a wonderful view and several top-notch amenities to enjoy throughout your stay. You certainly chose the perfect cabin to celebrate your marriage, and we hope you will make plans to visit with us for many anniversaries to come. We want nothing more than our guests to feel as though they have a home away from home while in our area, and we strive to ensure that each stay is exceptional. Please don't forget to mention you are a repeat visitor at the time of your next booking to receive 10% off. Hurry back, new memories are waiting to be made! We stayed for a week and had a wonderful time. The cabin was Great with a very nice view. We especially loved the walk-in shower and hot tub. Thank you for your wonderful review, Timothy. We are delighted to hear you enjoyed your stay and hope you will visit again soon! "We had a good time!" Thank you for your kind review, Cody. It is delightful to hear you enjoyed your recent cabin stay. We hope you will make plans to stay with us often. Please keep in mind, as repeat visitors you will enjoy 10% off all future bookings! Very nice cabin, loved the view and the hot tub. We appreciate your business and your fantastic 5-star review, Jeff! You certainly chose a great cabin to relax and enjoy some time away from the hustle and bustle of everyday life. We hope you will make plans to join us again on your next trip to The Great Smoky Mountains! This cabin was just what we needed for a nice getaway. It was our pleasure to provide you with a luxury getaway. 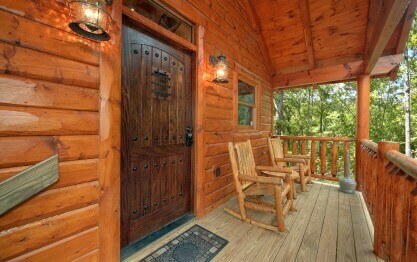 Mountain Hideaway is a great cabin to relax and escape from the hustle and bustle of everyday life. We hope you will make plans to visit us again very soon. We throughly enjoyed staying here for the 3 days and 2 nights we did. We were able to relax in the hot tub and also have in cabin massage therapist come to us from Beneficial to Life Massage. They also did an amazing job. Thank you for your wonderful review, Jessica! We are delighted to hear your stay was exceptional. It sounds like many special memories were made during your visit. We enjoyed having you as our guest and hope you will consider staying with us again in the future. Please keep in mind, as a returning guest you will enjoy 10% off all future stays. Hurry back, new memories are waiting to be made! We appreciate your business and your fantastic 5-star review, Amy! It is a pleasure to hear you had such a great experience in our area. You certainly chose a great cabin to relax and take in the beautiful mountain scenery. I hope you got some great photos of the wildlife! It would be our pleasure to serve you again on your next trip to The Great Smoky Mountains. Please keep in mind, as repeat visitors you will enjoy 10% off all future bookings. Hurry back, new memories are waiting to be made. "Amazing cabin with everything you?ll need for a great trip! " Amazing cabin with everything you?ll need. A great view and the cabin itself was amazing. The rain shower and jacuzzi were amazing! Far enough away from town yet close enough. A great place to rest an…d relax. Overall the experience was exceptional! Great customer service and a pleasure to deal with! Look forward to our next trip! Thank you for your fantastic 5-star review, Matthew! 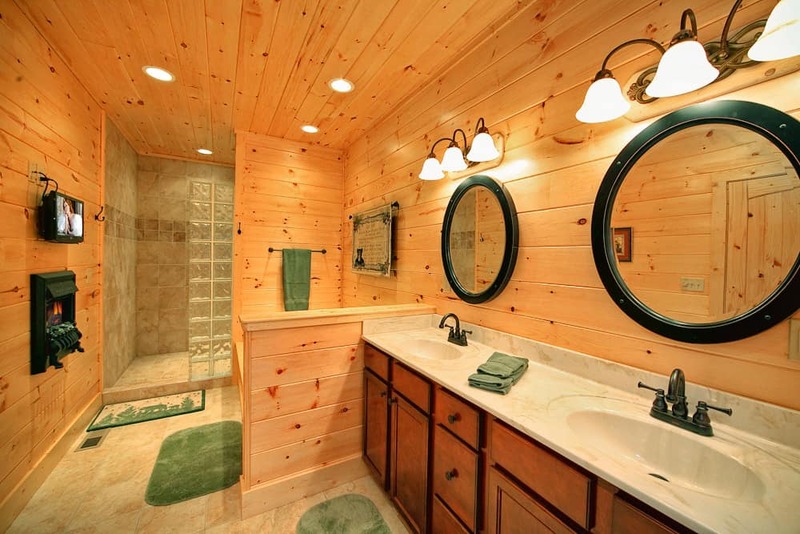 It sounds like you chose the perfect cabin to relax and unwind from the hustle and bustle of everyday life. We certainly agree! 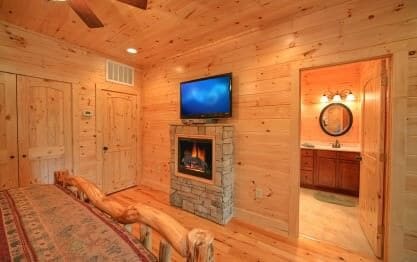 Mountain Hideaway is in the perfect location; only 10-12 minutes from the heart of downtown Gatlinburg, yet far enough out to get that peaceful mountain feel. We appreciate your business and look forward to your return stay with us! My wife and I recently stayed at the Mountain Hideaway cabin just for a couple days over the weekend for our anniversary and it was just what we needed. The weather was great, and the location, even t…hough it's 10 minutes or so from downtown Gatlinburg was nice and peaceful. The cabin was very nice as well with everything we needed including wifi since we didn't have much cell phone signal in the area. Thank you for allowing us to be a part of such a special celebration, Eric. Happy Anniversary! 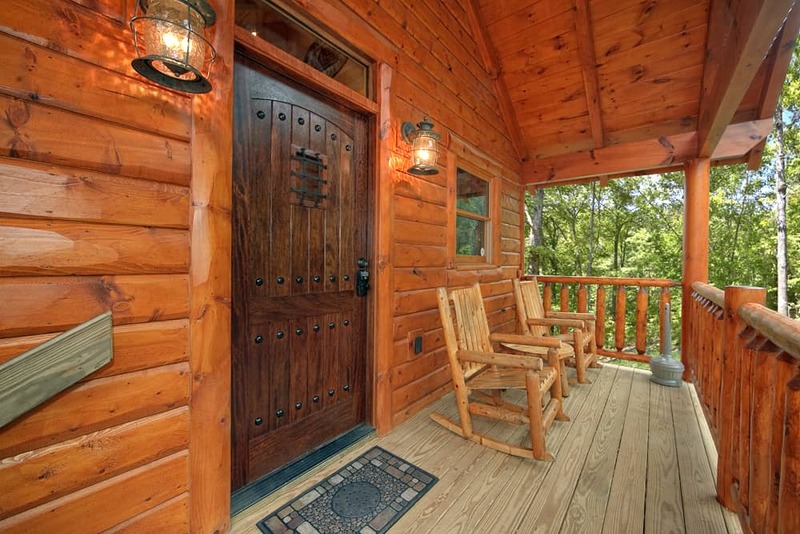 Mountain Hideaway is definitely a perfect cabin for a quiet couple's getaway. 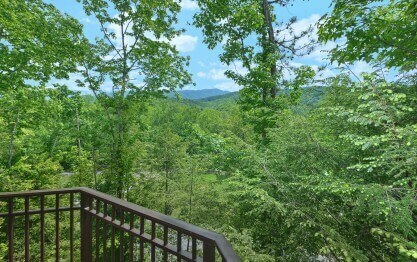 The views are great and it is in a perfect location for hitting local hiking trails or downtown Gatlinburg. We hope you will make plans to visit us for years to come. We want nothing more than our guest to feel like they have a home away from home while in our area. We look forward to serving you again in the future. Mountain Hideaway was a place of heaven. My husband and I came here for our first year anniversary and were not disappointed. The location is off the beaten path, but close enough to civilization, it …was also nice only having neighbors on one side. We have already discussed booking for next year too! Thank you for allowing us to be a part of such a special celebration, Sarah. Congratulations! We are happy we exceeded your expectations and hope you will consider staying with us again for future anniversaries. Thank you for sharing your wonderful experience with us, Kaitlyn! 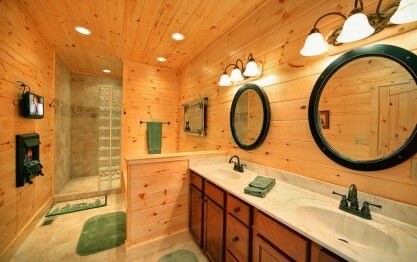 You certainly chose the perfect cabin to relax and enjoy a romantic get-away. We enjoyed having you as our guest and hope you will consider staying with us again in the future. Please keep in mind, as a returning guest you will enjoy 10% off all future stays. Hurry back, new memories are waiting to be made! Mountain Hideaway was a great stay for me and my wife for our honeymoon. The cabin was so peaceful and relaxing. It had everything you could need. It was not too far from all the attractions but not t…oo close. We would love to come back for our one year anniversary! Thank you for allowing us to be a part of such a special celebration, Nathan! Congratulations! We are pleased that you enjoyed your honeymoon at Mountain Hideaway and hope to become part of your anniversary plans for years to come. You and your wife certainly chose a great cabin to relax and create lasting memories together. Please keep in mind, as repeat customers you will enjoy 10% off all future bookings. Hurry back, new memories are waiting to be made! We stayed in Mountain Hideaway. The cabin was very clean. We only stayed 3 nights but wished we had booked for longer. Definitely staying again but for longer. We are very pleased that you enjoyed your cabin stay so much! We hope you will make plans to stay longer during your next visit. Please keep in mind, as repeat customers you will enjoy 10% off all future booking! Hurry back, new memories are waiting to be made! It was awesome! The cabin was very up to date and clean! Thank you for your fantastic review, Jacob. We are pleased that you enjoyed your stay at Mountain Hideaway. We hope that you will make plans to join us again very soon! Please keep in mind, as repeat customers you will enjoy 10% off all future bookings. Hurry back, new adventure awaits! Thank you for sharing your wonderful experience with us, Rebecca! We are delighted to hear your stay was exceptional. We can understand your concern regarding the distance, however, this aspect is what truly makes getting away from it all possible. We enjoyed having you as our guest and hope you will consider staying with us again during your next visit to Gatlinburg. Your secluded and yet close to everything. Thank you for your wonderful review, Gina. It is our pleasure to provide you with a luxury cabin to enjoy time away from the hustle and bustle of everyday life. It sounds like you made the perfect cabin choice. We appreciate any recommendations and keep in mind you will also receive 10% off all future bookings. We hope you will join us again during your next trip to The Great Smoky Mountains. We were SO pleased with our stay. It truly was a home away from home. We had every luxury we could possibly need and then some. The cabin was clean and stocked. It looked exactly like the pictures… showed it would. It was our first getaway as a couple which made it all the more memorable! We will definitely be back and are very thankful to have found this gem! Thank you for your wonderful review, Kenneth! We are pleased that you enjoyed your cabin stay. 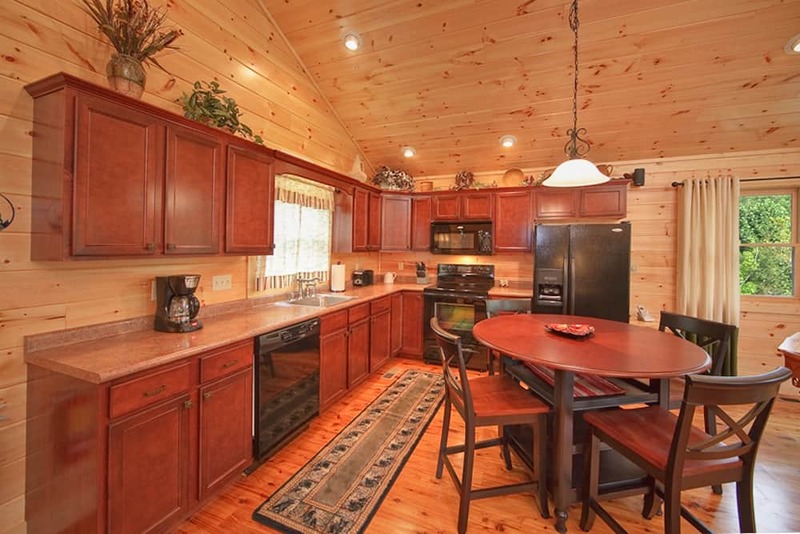 Mountain Hideaway is definitely a great cabin to relax and create lasting memories together. It sounds like you chose the perfect getaway and we hope that you are already planning your next visit. Please keep in mind, as returning guests you will enjoy 10% off all future bookings. Hurry back, new memories are waiting to be made! "Enjoyed Our Stay So Much"
This cabin is perfect for two. That was the main attraction to the cabin was that the owner limits the number of people who stay here. It's obvious they care about their property. Everything is high e…nd, bedding, linens, fixtures, all perfect for a week or weekend stay. We spent 7 nights, and never once wanted for anything. Little things mean a lot, those usually unnoticed touches that I pick up on right away...like...fresh/new dish sponge, full length mirror, general cleanliness, bright vanity lighting, good kitchen lighting. We travel frequently and 98% of the time rent private residences with Homeaway - VRBO - Air BnB. I have traveled this way for over 10 years and at least 25 rentals. This one, is by far, one of the best we have rented. Not as isolated as photos appear, but the privacy screens "block" your neighbors nicely if you choose to do so. The view and location are great. Thank you for sharing your wonderful experience with us, Sandra! We are elated to hear we exceeded your expectations. We want you to feel at home while you are our guest. We enjoyed having you as our guest and hope you will consider staying with us again during your next visit to The Great Smoky Mountains. Perfect cabin for two people looking for a mountain retreat! Thank you for allowing us to be a part of such a special celebration Andrew! Congratulations! We are pleased that you enjoyed your cabin stay and we hope to become a part of your anniversary plans for years to come. Hurry back, new memories are waiting to be made! We stayed at Mountian Hideaway for our honeymoon. We absolutely LOVED the cabin! The views from the deck is amazing and we loved the hot tub! This cabin was made for couples and I would recommend to a…nyone looking for a romantic getaway. We would definitely stay here again! We appreciate your business and your wonderful 5 star review, Jessica! We look forward to having you back for a future stay. Please take advantage of your 10% repeat guest discount at the time of your next booking! Thank you for your business and kind feedback. We look forward to doing business with you in the future. 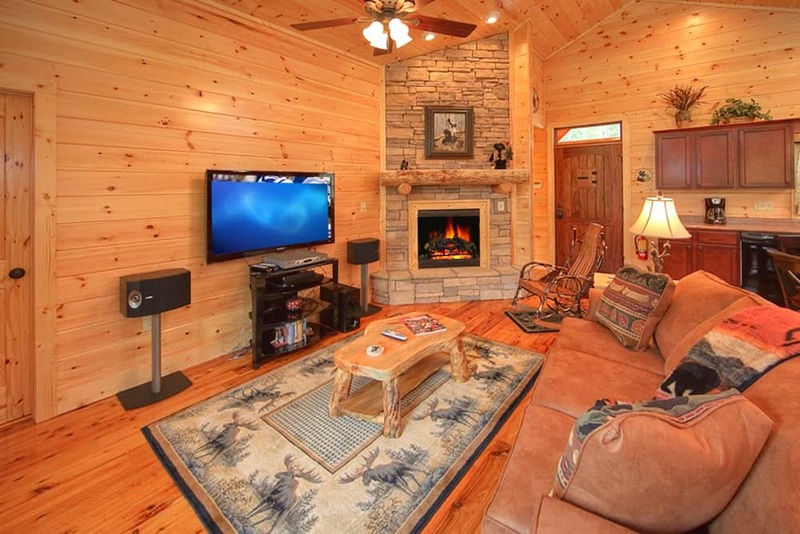 We have several cabin choices, so be sure to check them all out on our website or contact our sales department to assist you in making that perfect cabin selection for your next stay with Elk Springs Resort! We had a lovely time unwinding and enjoying the beautiful surroundings. Thank you for taking the time to share your amazing experience with us, Monica! 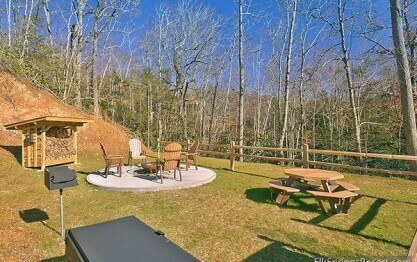 We are happy you enjoyed your time spent at Mountain Hideaway. This cabin is the perfect place to relax and unwind from the stresses of everyday life. We hope you will make plans to visit often! Thank you for taking the time to review your stay! We love our return guests and hope that you will continue to stay with us here at Elk Springs Resort! This was my my first trip to Gatlinburg and my husbands first trip since he was a kid. We have such a wonderful time relaxing in the cabin and exploring what the Smokey Mountains had to offer. The cab…in was more than we had hoped for with a beautiful view of the mountains and the location was great being just 10-15 minutes from downtown. We cannot wait to plan our next visit with Elk Springs Resort in the next few years! Thank you for allowing us to be a part of such a wonderful vacation, Tiffany! You certainly chose the perfect cabin to create memories that will last a lifetime. We hope you will consider making Elk Springs Resort part of a new tradition when visiting Gatlinburg. We hope to see you again soon! We absolutely could not have asked for a better place to relax and take a load off. We were greeted with a super clean, fully stocked cabin which we could have locked ourselves in for the 4 days we we…re there and never left, which we almost did! It has an awesome view, is set far enough away from town that it's quiet but close enough you can drive 7 miles down the road and get what you need. We loved all the amenities and the vacation journals you could read to hear all the wonderful stories of the visitors before you! We felt as though we had been welcomed into someone's home, it was just so cozy. And a superb mattress we never wanted to leave! Thank you for a wonderful stay! We're already planning our next trip! We are so happy that you are already planning to visit us again! We look forward to seeing you again and thank you so much for the wonderful review! My wife and I decided to go on a rather last minute vacation and chose Gatlinburg as the perfect destination. We looked through dozens and dozens of cabins but eventually settled on one from Elk Sprin…gs after reading several reviews saying their cabins were unmatched. I'm so glad we did too. The cabin was beautiful, quiet, clean, accommodating, and so much more. We already can't wait to go back! Thank you for your review! As you know, our reviews are very important to our business! We are so happy that you enjoyed your stay! Please come back and visit with us again! "Peace And Quiet In The Mountains "
I was surprised at how luxurious my cabin was.The cabin is also super clean. My husband and I chose it because of the high reviews. It was spacious enough for the two of us We enjoyed the bed,whirlpo…ol and porches and doing absolutely nothing.The cabin has completely everything in it down to the tiniest detail like hooks outside of the shower. Oh, and the shower is fun. Its like a car eash. All you have to do is bring your food and condiments.The cabin also has a very loving spirit about it. We are delighted to hear we exceeded your expectations, Valorie! We enjoyed having you as our guest and hope you will make plans to stay with us again during your next visit to Gatlinburg. Everything went very smoothly. Followed the directions given and found the cabin with no trouble. Check-in and out went very smooth, and the cabin was clean and very comfortable. Thank you for allowing us to be a part of such a special celebration, Gary! It was truly an honor to have you as our guest. We want you to feel at home during each visit with us. We hope you will consider making Elk Springs Resort part of anniversary plans for many years to come. Please keep in mind, as a returning guest you will enjoy 10% off all future stays. Hurry back, new memories are waiting to be made! We enjoyed our stay very much! The cabin was like brand new, very clean, spotless, all the amenities that you could wish for. 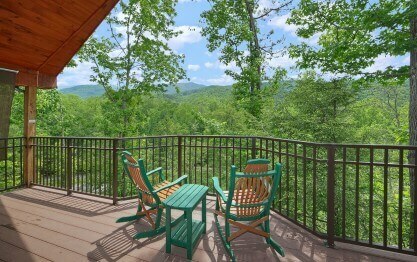 We would definitely stay here again on future visits to the Gatlinburg area. Thank you Elk Springs! Thank you for your 5-Star review, Thomas! We are delighted to hear your stay was exceptional. It would be an honor if you stayed with us again during your next visit to Gatlinburg. Please keep in mind, as a returning guest you will enjoy 10% off all future stays. Hurry back, your next adventure awaits! We really enjoyed the cabin especially the shower!! The cabin was super clean. The Mountain view was beautiful!! I would definitely stay at this resort again!! Thank you for your kind review, Carrie! We are happy to hear your stay was exceptional. We enjoyed having you as our guest and hope you will make plans to stay with us again! We had a great experience with our rental. Booking process was very smooth. Staff was extremely helpful, even recommending great places to eat. Cabin was clean, neat & just what we expected. Maste…r bath is amazing with huge jetted shower & tub. Beautiful views of the mountains from both decks. We had a great week & would definitely recommend this cabin. Thank you for allowing us to be a part of such a wonderful celebration. Congratulations! We are happy to hear you had such a great time while staying in Mountain Hideaway. We hope you will come back and see us as often as you can. Please keep in mind, as a returning guest you will enjoy 10% off all future stays. We hope to see you soon! Cabin was too notch! Loved our time there and the views from the deck. Will definitely be back! Thank you for your 5-Star review, Ronnie! 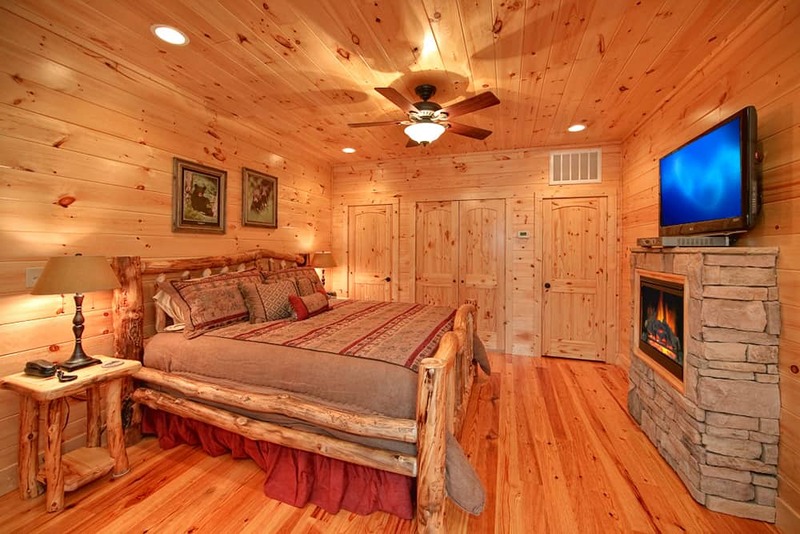 Our goal is to provide luxury cabins that will spoil you. It sounds like we succeeded! We hope we can assist you in planning your next visit. Please mention that you are a returning guest to enjoy a 10% discount. We hope to see you soon! Cabin was great, very clean and had everything you need. We liked it because of location away from downtown Gatlinburg, but only about 10 miles to everything. Would highly recommend. It sounds like you found the perfect cabin! Mountain Hideaway is an exceptional cabin with views that go on forever. We hope you were able to enjoy the outdoor fire pit during your stay, it is the perfect place to unwind after a long day. Please make sure to mention that you are a returning guest when you reserve your next get-away. You will enjoy 10% off all future stays. We hope to see you soon! 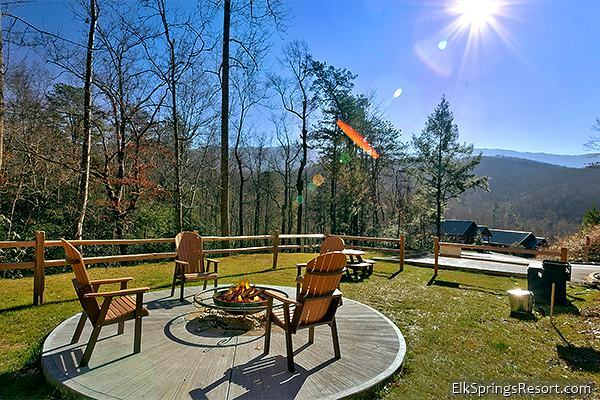 "ALWAYS GREAT PLACE TO STAY"
This was our 4th Elk Springs rental and the 3rd time staying in Mountain Hideaway. This cabin and this company never fail us. We love the plushness of everything and the way they've left nothing to desire. Our FAVORITE vacation spot by far!! Thank you for your kind review! We truly strive to make each get-away memorable. We hope to see you soon! It is our pleasure to provide you with an exceptional cabin rental experience for your honeymoon. Thank you for choosing Elk Springs Resort for this special time in your life. Here's to many more years of wedded bliss! This cabin was everything we had expected and more. We would definitely come back again and again. It is our pleasure to provide you with a luxury cabin rental to enjoy for your honeymoon! We love to hear that everything exceeded your expectations. Thank you for the 5 star review, Stephen. Congratulations and Best Wishes from Elk Springs Resort! Our trip was everything we could be hoped for. We had a blast and we're so sad to leave. We're definitely planning another trip to Gatlinburg soon! Many of our guests feel the same way as you are sad to leave. This means that everyone is having too much fun and enjoying their cabin rental experience! We do have several choices of luxury cabins in this area as well as some with swimming pools inside. Feel free to check them out on our website or contact our sales department to assist you when you are ready to book your next stay. Please be sure to mention that you are a repeat guest and you will receive a 10% discount! We appreciate your business Kellye and thank you for the great review! We rented Mountain Hideaway for two nights as a 25th wedding anniversary gift from our children. Upon arrival we found the cabin/property to exceed our expectations. The attention to details was impre…ssive, especially those for privacy and comfort. The amenities were numerous and almost more than we could take advantage of during our short stay. 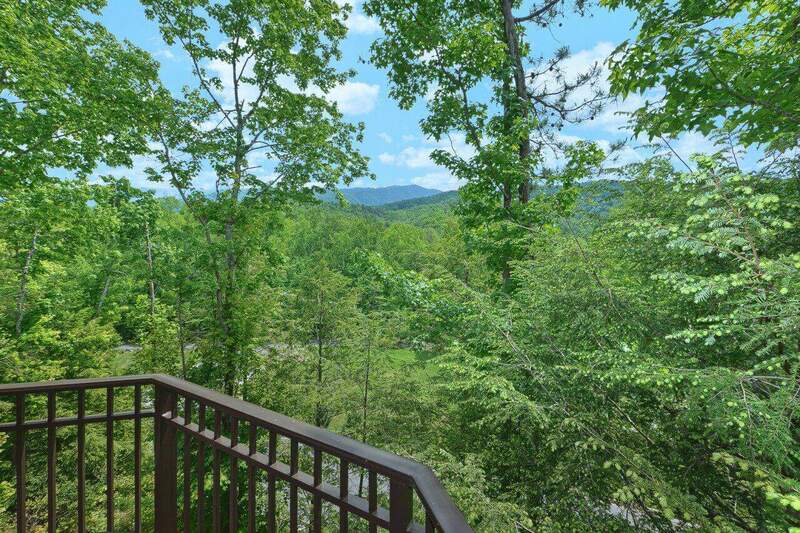 The only complaint we have is that the view of the Smoky Mountains from the second story porch is impeded by several trees. That being said, it's a trade off because those trees also extend a certain amount of privacy and coziness. Overall, we were very impressed with this cabin, and have already recommended it to several of our friends and family. In addition, we are considering renting a larger cabin from Elk Springs Resort Rentals to bring our family along for a vacation. What a great treat for your anniversary Jeff! We certainly are pleased that your stay exceeded your expectations. Customer satisfaction is very important to us and we do our best to make our cabins a home away from home for you to enjoy. 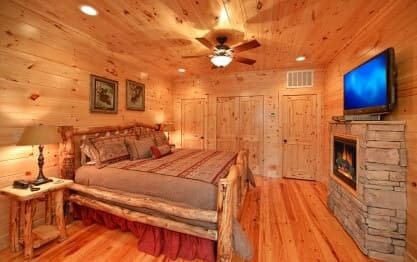 We do have several other luxury cabins located in Sevierville, Pigeon Forge and Gatlinburg for you to consider on your return visit. I would encourage you to check out our website to see the photos and amenities available for you and your extended family to enjoy on your return visit. Nice, secluded cabin. Beautiful outdoors & setting. Thank you Kyle! The name says it all! Mtn. Hideaway provides the quiet, secluded setting to enjoy a relaxing cabin getaway. On your next visit, consider bringing the whole family along and upgrade to a larger cabin. We have many to choose from including some with their very own swimming pools right inside the cabin! I was staying at Urban Cowboy and didn't want to leave on my departure date, so I moved to Mountain Hideaway. Such a great cabin! The views were unbelievable and the inside of the cabin was cozy! Loved it and I can't wait to return! We are delighted to hear you enjoyed your visit, Lisa! It's a beautiful day here in The Great Smoky Mountains and the perfect time to start thinking about a return trip to Gatlinburg. Please keep in mind, as a returning guest you will enjoy 10% off all future stays. We hope to see you soon! We stayed there for our 45th wedding anniversary. One of our best anniversaries ever! Everything was perfect. The cabin is perfect for 2 people, high enough in the mountain to get some views but ve…ry accessible from the main road. The cabin is immaculate, all the furnishings are first class. We hope to some day come again to enjoy the fall leaves. Thank you Raymond! We are pleased that you were able to enjoy your special anniversary with us! The views in the fall are simply amazing. We hope you do come back to enjoy the scenery then. Great week of hiking. Loved the privacy of the cabin and the accomodations were great. We used the grill as well as the hot tub several times. Everything was very nice and clean and ready for our arrival. We are delighted to hear you enjoyed your visit, Andrea! It's a beautiful day here in The Great Smoky Mountains and the perfect time to start thinking about a return trip to Gatlinburg. Please keep in mind, as a returning guest you will enjoy 10% off all future stays. We hope to see you soon! This cabin is cozy and perfect-away from it all. The view from the porch is beautiful and you can hear the rushing water from the creek right down the hill. It's just right for 2. The amenities are pl…entiful. We especially enjoyed the Jacuzzi on the porch at night. A wonderful stay--we did not want to leave! "4 day 3 night stay"
The cabin pictures were true to the experience. I did wish that the cabin was further up the mountain but the amenities were great in the cabin. I lived the bathroom, with the jacuzzi and the large …walk in shower the porch swings werbalconies the upper level was more if a view than the lower but the lower was mite secluded and private so the best of both worlds. We got good rest and enjoyed both balconies. It was quiet and clean but most of all relaxing. I've stayed with Elk Springs Resorts multiple times and they always are great to work with and stay with. Our first honeymoon cabin (through a different company) was literally breaking down when we arrived, so we were OVERJOYED to book Mountain Hideaway at the last minute! Experience was perfect from our …first phone call to leaving. Everything you could ask for with hot tub, walk in shower (yes, walk in shower! ), super comfortable bed, beautiful view, even the "little things" like convenient lights and electric outlets. FOUR FIREPLACES! Clean, beautiful, high end, cozy. Outside of town enough to really feel in the mountains, but close enough to enjoy Gatlinburg or Pigeon Forge easily. We loved our stay and hope to keep coming back! !